Pain Management for Veterinary Technicians and Nurses guides readers through the important concepts of animal pain management, providing specific approaches to managing pain in a wide variety of veterinary conditions. 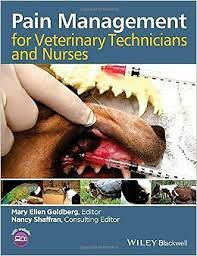 Emphasizing the technician’s role in advocating for the patient, the book equips technicians with the knowledge needed to manage pain in dogs, cats, horses, livestock, exotics, and zoo animals. Logically and comprehensively covering this difficult subject, Pain Management for Veterinary Technicians and Nurses provides both introductory material on the tenets of pain management and specific techniques to apply in the clinical setting.